Sadie was Trinity Memorial Gardens & Friendship Pet Memorial Park’s Certified Bereavement Therapy AKC Black Labrador retriever. She was a good natured, gentle, and loving dog who loved being with people, especially kids! Sadie attended community events like the Cancer Survivor's Luncheon, Relay for Life & made over 100 visits to businesses and events in the community. Her training helped her sense those who need comfort the most, Sadie was there to help brighten their day and get them through a trying time in their life. 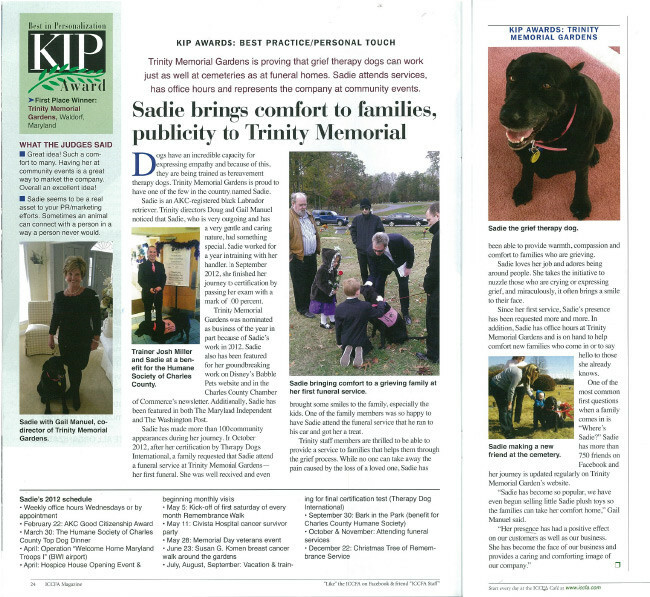 Sadie's hard work resulted in Trinity Memorial Gardens and Friendship Pet Memorial Park receiving the prestigious KIP Award in Best Practices! 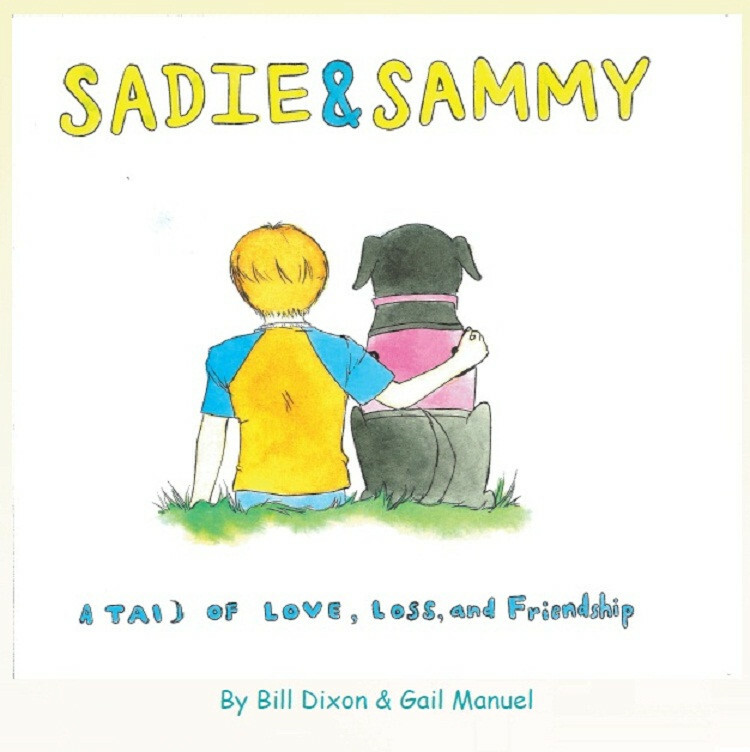 She also had a book written about her helping children with losing a loved one called, "Sadie & Sammy: A Tail of Love, Loss, and Friendship!" Sadie passed away from cancer March 9th 2015 at the age of 11. Sadie's work as a certified bereavement therapy dog here at Trinity Memorial Gardens & Friendship Pet Memorial Park brought much joy and comfort to families in their utmost time of need. There was only one Sadie and she will be sorely missed. Her memory will live on in her cousins, Bogie and Bacall, the bereavement therapy dogs following in her footsteps. Come meet our furry members of the Trinity Memorial Gardens & Friendship Pet Memorial Park staff, Bogie & Bacall. Follow their journey to become certified Bereavement Therapy Dogs. Their progress, updates & photos will be posted on Friendship Pet Memorial Park's Facebook page & Website. Check out the gallery below for more pictures.